To avoid getting tangled into this mess, it’s best to list which is which before you file your returns. Your travel expenses, for instance, could be either depending on the nature of how you incurred them. So to keep yourself and the ATO from getting confused (and the latter from knocking on your doorstep to find out for sure), identify and classify each expenditure. Sure, numbers can be tricky, but tax laws do not allow this for an excuse— even the absence or presence of a few zeroes can earn you an audit, so be as accurate as you can be. This is because many businesses practice deduction inflation, where they claim much higher than what they actually spent. 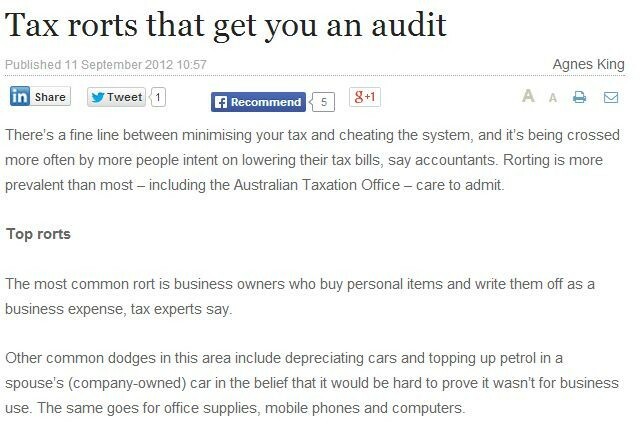 “Goods and services tax scams are another simple dodge. People set up bogus businesses, register for GST, put in a few business activity statements, collect the GST credits on false purchases, then shut up shop and disappear. One of the best ways to make sure that you don’t fall into any of these possible grounds for an audit─ or worse, a fraud lawsuit─ is to hire reliable medical accountants. This way, you can focus on the most important part of your practice: saving lives and helping the sick, without being burdened by the tough financial aspects of running a business.